Hello everyone! Another new Nanoha doujin by Mekimeki Oukoku got released by Yuri-ism and Yurihouse: A Magical Girl Has Come of Age!?. 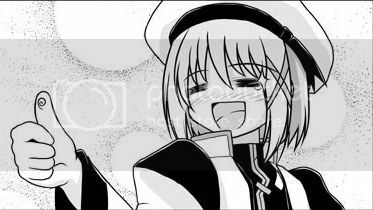 This is a 27 pages long doujin originally published in 2008, about Fate having troubles picking a White Day gift for Nanoha. This is the first entry on the Mekimeki omnibus, and one of the first doujin made by this artist. Thank you for uploading this doujin. Wow! Mekimeki Oukoku's doujins sure improved a lot since 2008! I really like this artist.